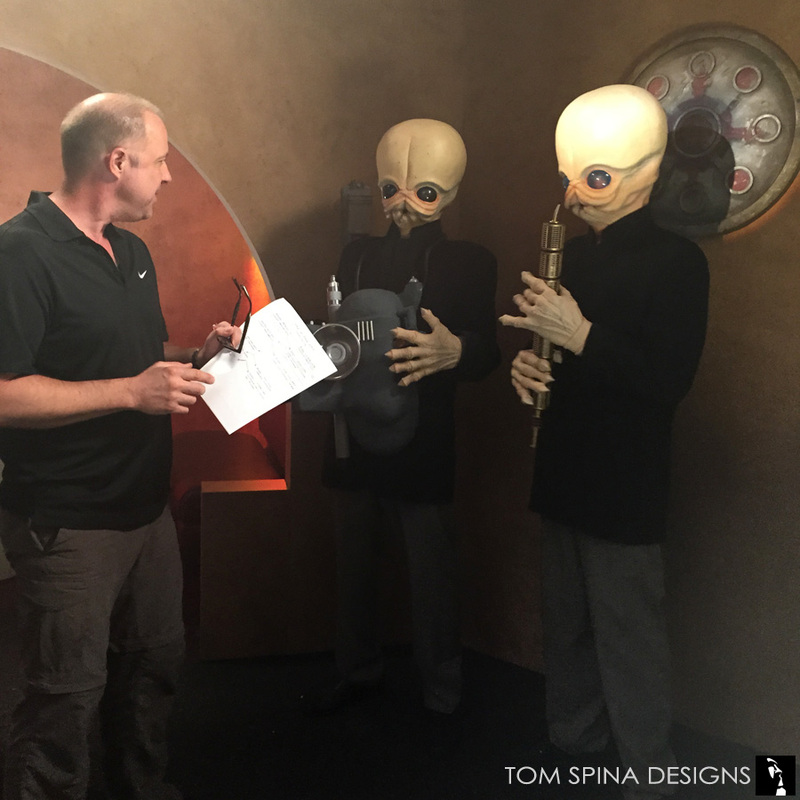 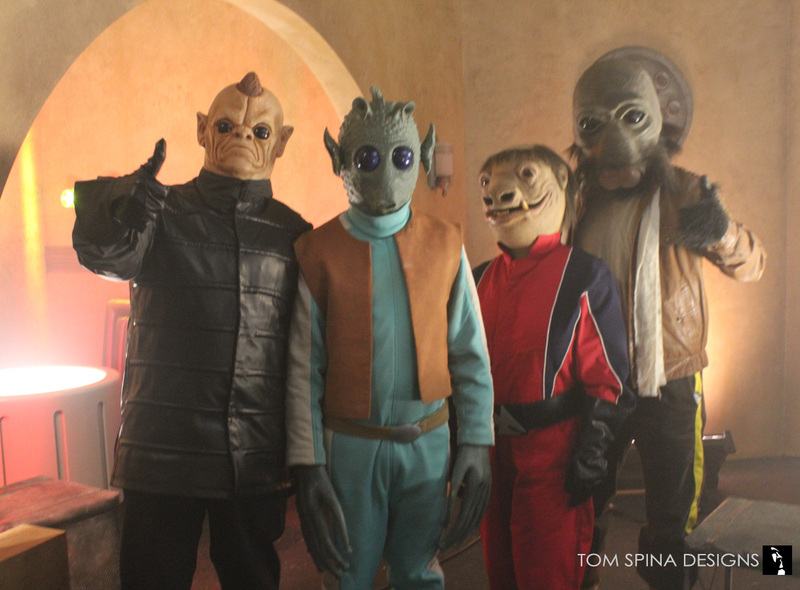 Star Wars alien costume rentals for a cantina commercial for Box Busters. 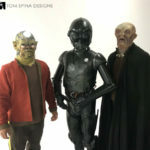 Our custom Star Wars alien masks and costumes were featured in this great toy commercial from Spin Master Toys features their wonderful “Box Busters” toys. The commercial includes a visit to the infamous Mos Eisley Cantina bar, that hive of scum and villainy, populated once again with our Star Wars alien costume rentals! 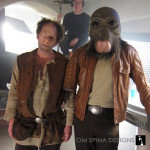 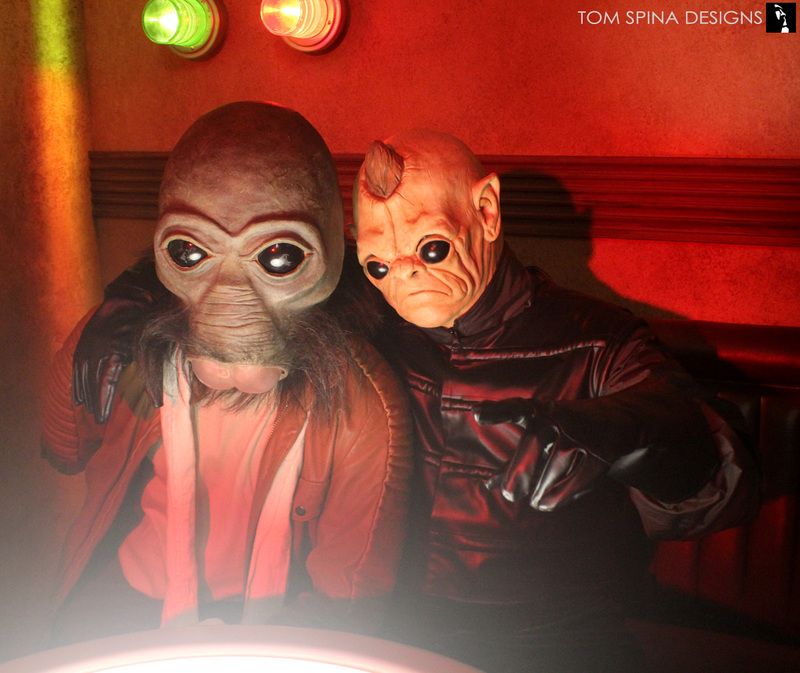 We dressed about 15 aliens and humans for this fun shoot, renting costumes, masks, wigs and accessories for classic characters like Greedo, Ponda Baba, Bom Vimdin, Zutmore, Muftak, Momaw Nadon, the Bith Cantina Band and the infamous Tonnika Sisters. 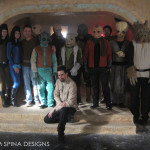 We also provided a number of costumes for human extras, dressing them in appropriately Star Wars style costumes. 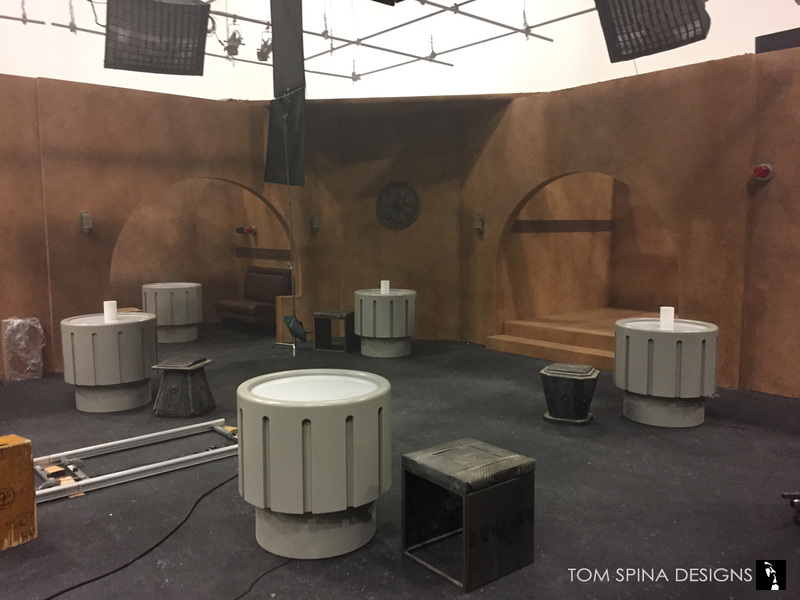 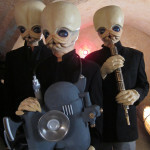 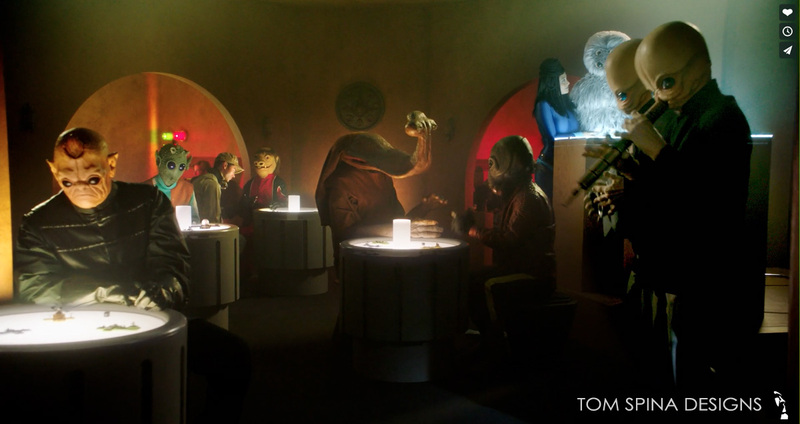 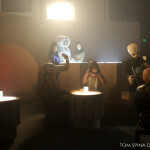 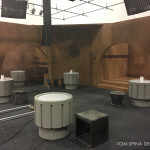 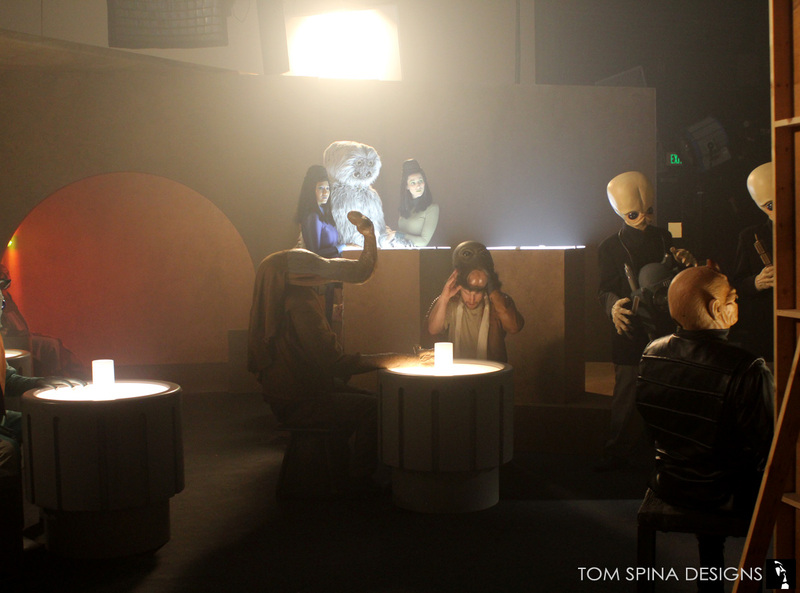 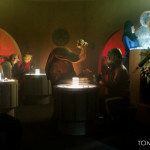 We love to revisit the old Mos Eisley cantina any chance we get, and the production company, Steam, did a wonderful job recreating the set for this commercial. 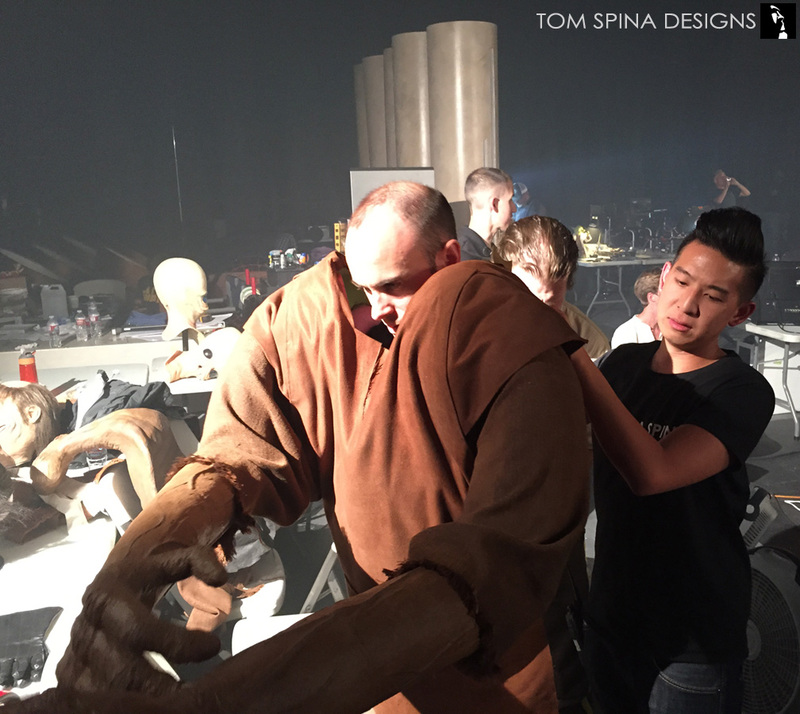 Special thanks to our wranglers on set for the shoot, who helped everything run smoothly, made sure all the actors looked their best, and kept the actors alive inside their masks! 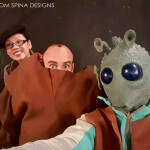 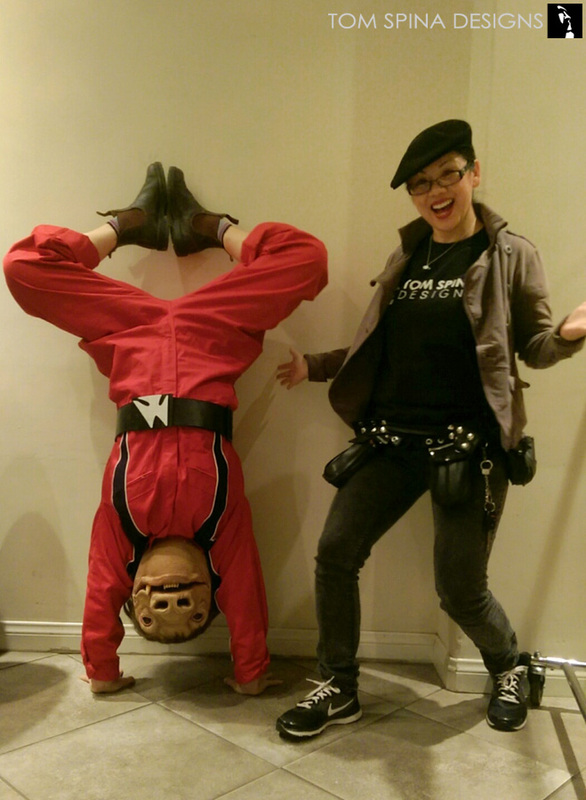 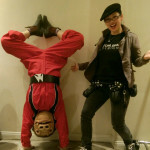 Casey Wong, Michelle Nyree and Todd Rex (who also played Walrusman for the commercial!) 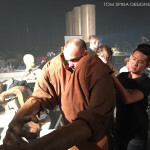 all wrangled and David Woodruff was on hand to do makeup. 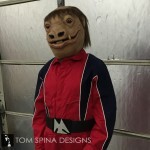 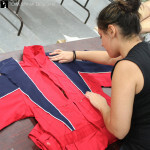 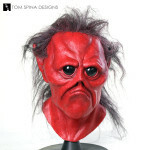 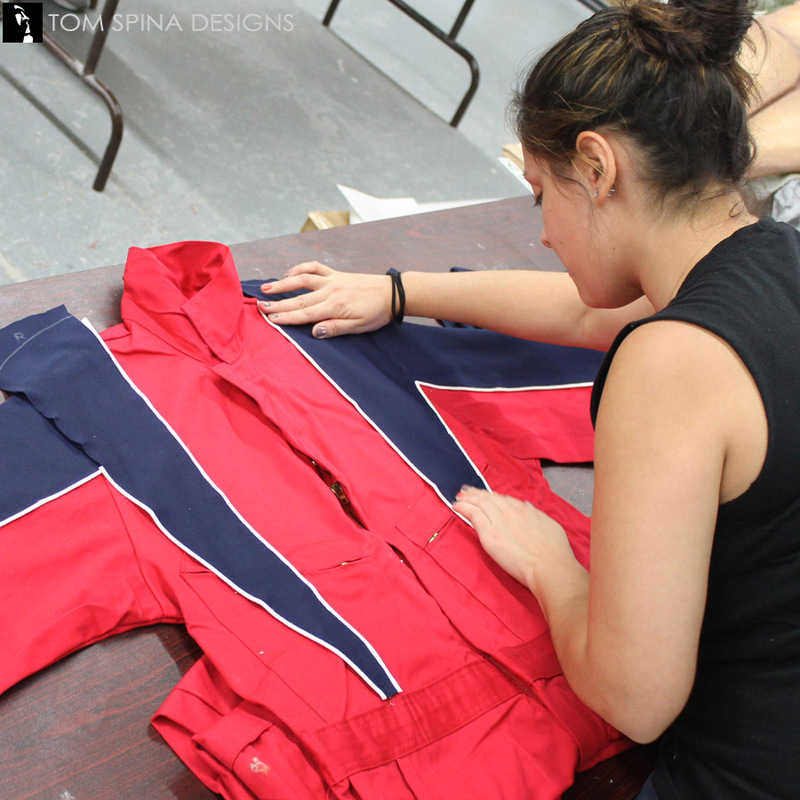 Need custom costumes, masks or creatures for your next production? 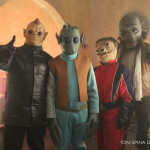 Check out our aliens in the Star Wars toy commercial here! 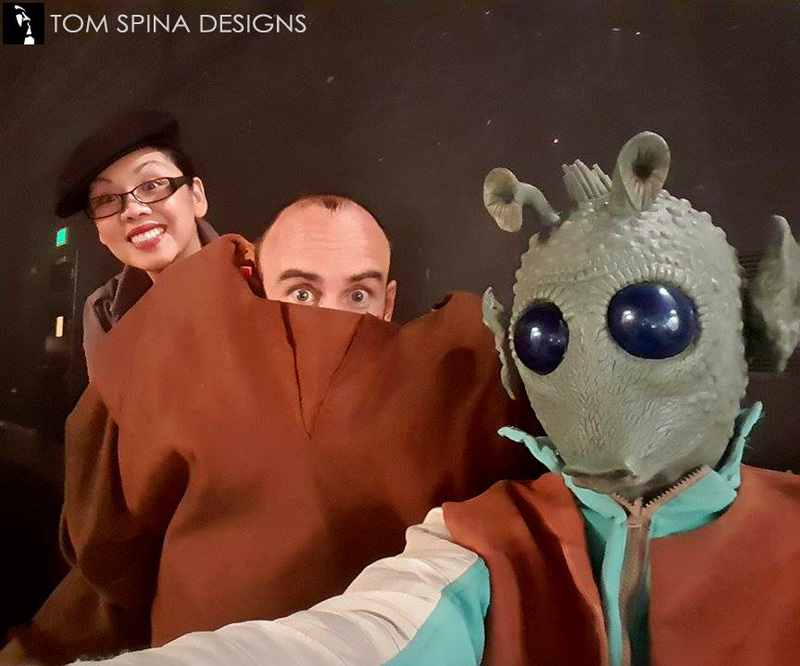 And here's a longer cut, with even more of our alien costumes!